How can you get involved in sign2sing 2018? There is great benefit to Choirs, Businesses, Community Groups as well as schools partaking in sign2sing. This fun fundraising event encourages participants to become more Deaf aware, learn some sign language while also being a fun team building and fundraising exercise. Join us and ensure that sign2sing 2018 is a hit! Learn As One our song for the sing2singer looking for a challenge. 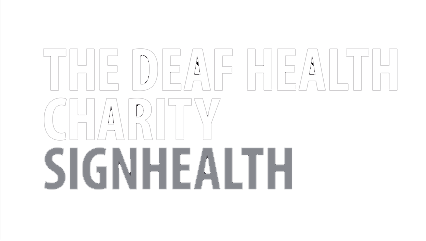 · Take part in sign2sing yourselves - learn the song, signs, perform and fundraise for SignHealth. · Sign-A-Line, gather members together to sign a line of the song and share this with us for promotional use. This exercise only takes a few minutes and can be filmed on a camera phone or we can support the filming for you. · Learn our additional sign2sing song written especially for Choirs or those who fancy a challenge. Learn the words and signs and perform this song together at a date of your choice.